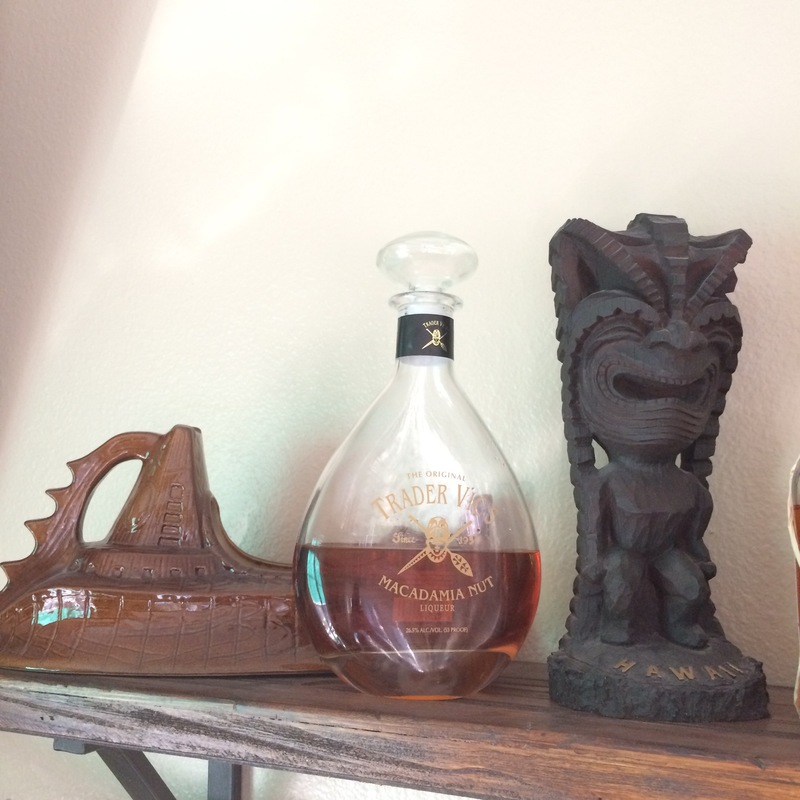 As my (fake) tiki bar started to come together I figured that all great, well visited bars need a House Cocktail… something that people feel like they MUST have in order to get the full experience. If you go to Trader Vic’s, you know that you have to order a Mai Tai… when you visit Don’s, and now Latitude 29, you cannot leave without tasting a Zombie… you need to bring a few friends to the Mai Kai to make sure you can order the Mystery Drink… and you should make it a goal to give Smuggler’s Cove’s secret recipe Rum Barrel a try. 3) I could use the “coco” as part of the drink’s name. 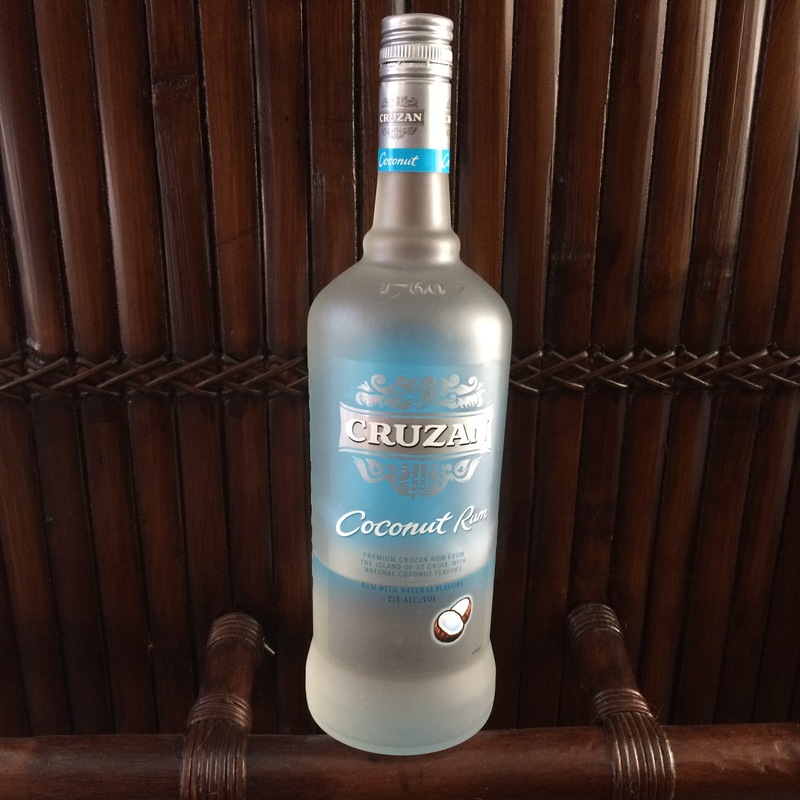 I use Cruzan Coconut Rum… I enjoy that it is made in the U.S. Virgin Islands and can usually pick up a few bottles for cheap when visiting St. Thomas. 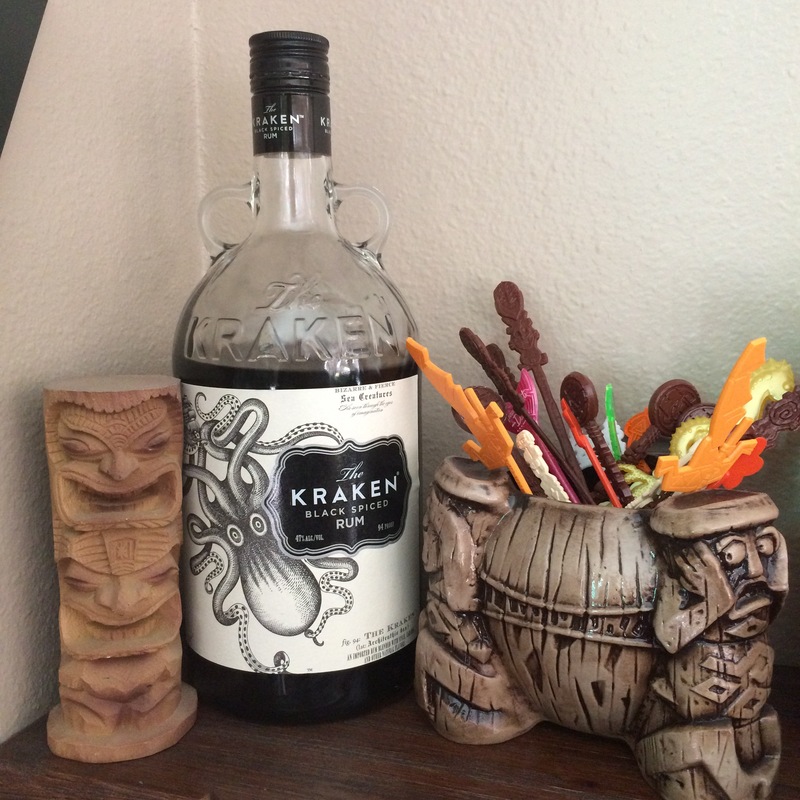 I wanted at least one more rum and my 1.75L bottle of Kraken Black Rum was staring me right in the face. (I love it for my Dark and Stormys.) I figured the Black would be a nice contrast to the clear Coconut. Now that I decided on the rum, it was time to take my first real stab at “mixology”. I decided to use Vic’s Mai Tai recipe as my road map and see where that would take me. I took the lime juice and replaced it with pineapple juice (seemed like a good start). Then I looked at the demerara simple syrup and decided not to change out anything there. Next on the list was the orange curacao, which I didn’t have in stock at the time. I did, however, have Grand Marnier. I figured bringing it up a notch couldn’t hurt. I tweaked the amounts a little during the first few mixes (the Kraken was overpowering at first, and not allowing the coconut and macadamia nut to shine through). But after about three tries I nailed it! So come on by, check out our menu (yes, I have ONE copy) and read through the options… but then order a Coco Nut because, of course, you will feel like you have to! Shake it all together and serve over ice (preferably in a coconut shaped tiki mug).